RealAsianBeauty's Nail Art is baaaack! 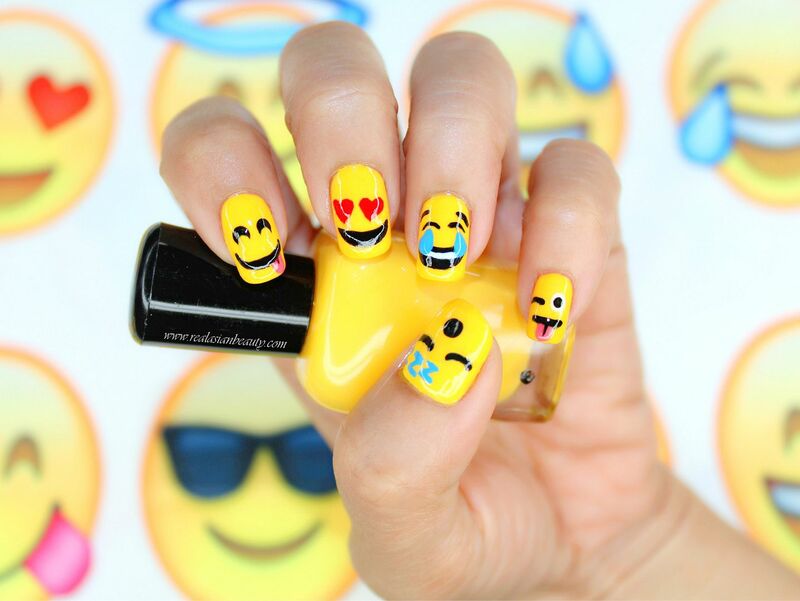 Hehe I thought of doing this nail art design when I got this Emoji shirt from a Thrift Shop for only $1. How cute, right? I also got the Emoji mini-pillows from Divisoria for $1 each. 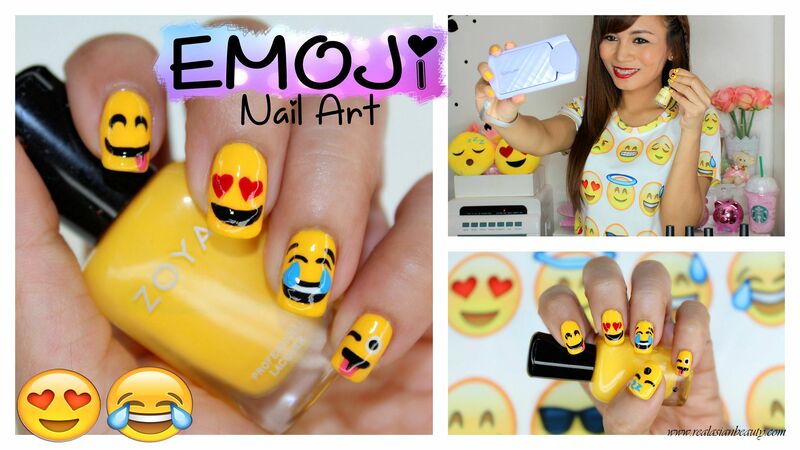 I knew I just had to make an Emoji nail art tutorial! What is EMOJI, though? 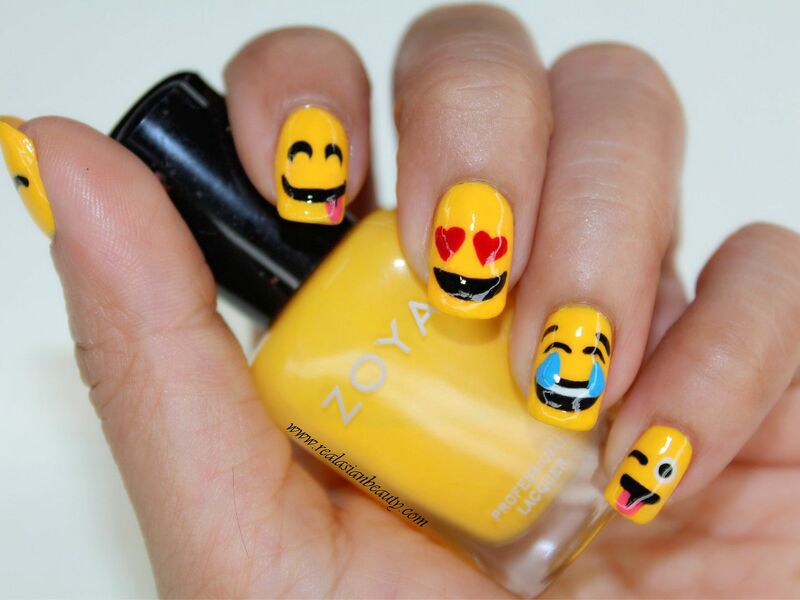 Emoji is referred to as a small digital image or icon used to express an idea, feeling, reaction and emotion and is used on electronic communication, most usually referred to as social media. Chatting through social media is so popular these days! And a chat will not be complete without including an emoji or many emojis to intensify the feeling or the emotion of the message. It is also often used when leaving comments on pictures... What are your favorite emojis that you often use? Here are the 5 most common icons that I use when I chat or when I leave comments on pictures or statuses. 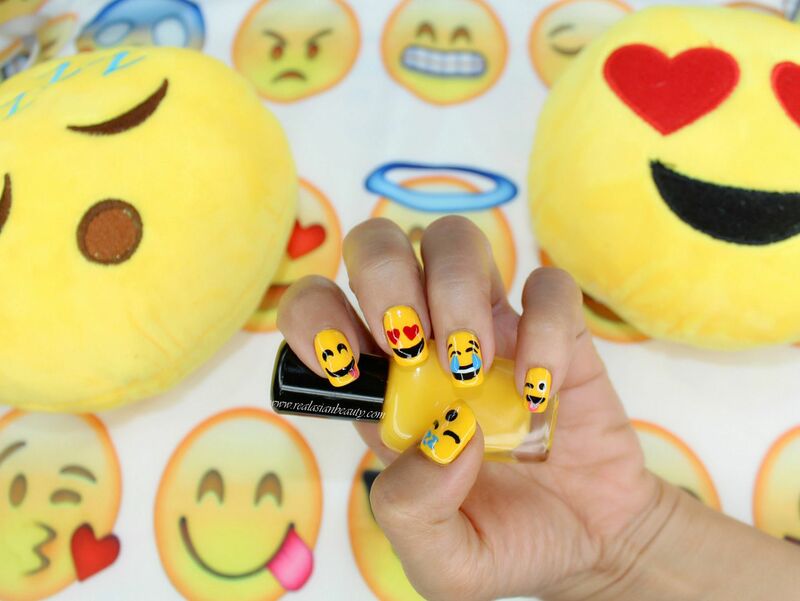 Emoji Nails, Emoji Shirt plus Emoji Mini-pillows would make a perfect selfie! Here I am, taking a selfie using my favorite Casio Exilim TR60 Selfie Camera. 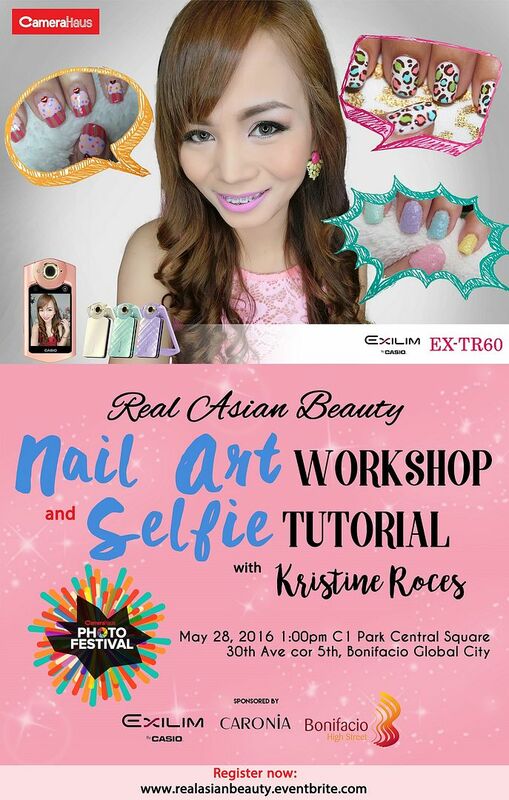 Since we are already talking about Nail Art and Selfie, I would like to invite everyone to my 1st EVER Nail Art Workshop!!! 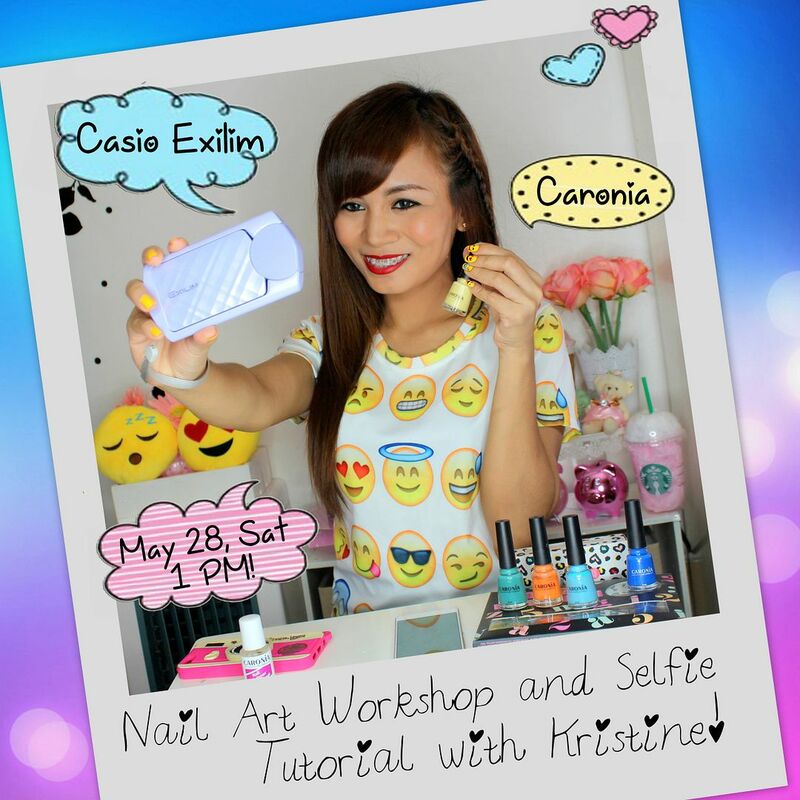 This workshop will be made possible by Casio Exilim Camera and Caronia Nail Polish. 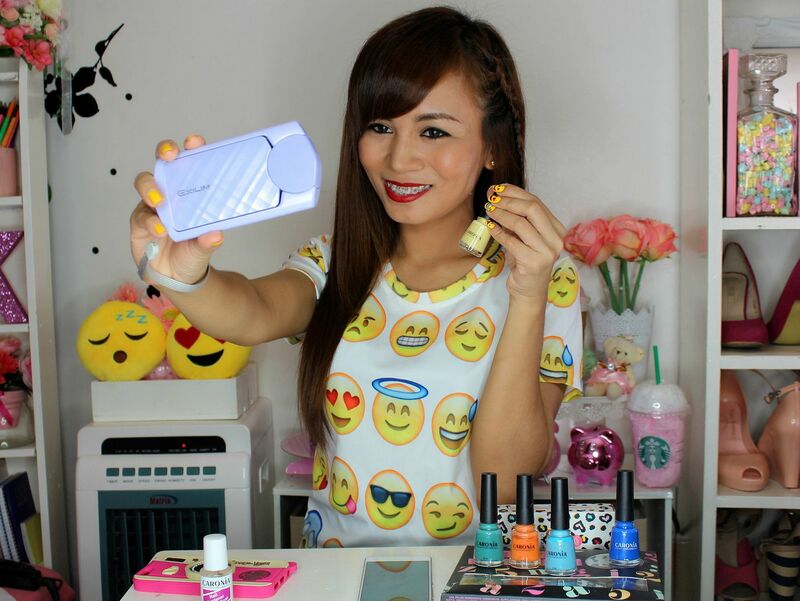 This is going to be a fun event because the first few that will arrive at the event will receive loot bags that contain Caronia nail polishes that they can use to follow my LIVE nail art tutorial and try the designs on their nails. After the workshop, we'll be having a quick Selfie Tutorial using the Casio Exilim TR60 camera. I promise you guys that you will love the Selfie Camera, too! It's the ultimate Beauty Tool! See you there, everyone! I am nervous and excited!